Thank You For Supporting The Parents Association! The Parents Association would like to say thank you for your dues. 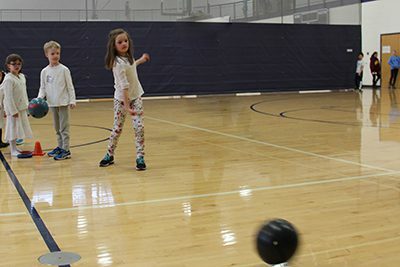 The $75 per family that you see in the re-enrollment system funds our budget so that we can provide our students, faculty and staff, and our families with great opportunities and events throughout the year. 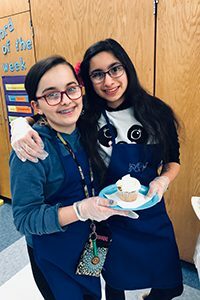 This year, your contributions supported Faculty and Staff Appreciation, Lower School Holiday Events, Middle School Cafe, Book Festival, the White Out Dance for grades PreK-6 and individual grade level events. 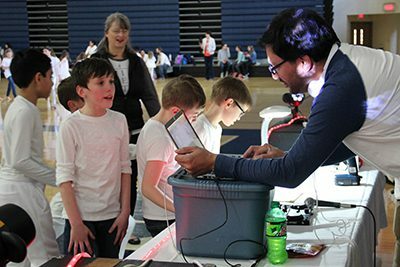 Also, through our micro-funding program, we were able to fund the purchase of Robotics kits for fifth graders and the MPA Robotics team. In the coming months, we will fund graduation decorations, the Moving Up celebration, kindergarten graduation and more grade level events. Your funds are essential to help us build community, continue MPA traditions, support our faculty and staff, and be a resource for our families. Thank you! We hope you enjoyed the Book Festival last week and appreciate your support! It takes a lot of volunteers and staff to put on such an event and our amazing MPA community is always ready to help. 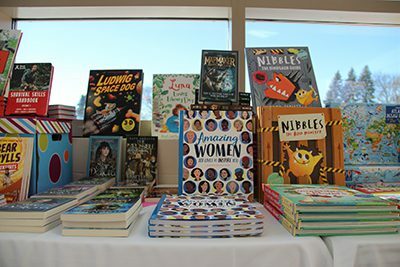 On behalf of the Parents Association, thank you to the following parents, staff, faculty and students for helping make the 2019 Book Festival a success. See You At The White Out Dance! We are looking forward to seeing you at the 2019 White Out Dance on Friday, March 8! From 3–5 PM, students in grades PreK–6 are invited to show off their winter spirit, wear white to school, and join in on a night of fun! There will be crafts, games, dancing, and so much fun for everyone! Meet in the Lansing Sports Center after school. All Lower School students must be accompanied by an adult chaperone. Can’t wait to see you there for an afternoon of fun! The White Out Dance Is Coming Soon! We are very excited for the ninth annual White Out Dance! On Friday, March 8, from 3–5 PM, students in grades PreK–6 are invited to show off their winter spirit, wear white to school, and join in on a night of fun! There will be crafts, carnival games, and dancing featuring the one and only DJ Dad Makai Catudio! There will be complimentary pizza, snacks, and water for students, too! Meet in the Lansing Sports Center after school. All Lower School students must be accompanied by an adult chaperone. Parents, join in on the fun and sign up to volunteer at the dance here! Join Us Tonight For Book Festival Family Night! Join us tonight for Book Festival Family Night! 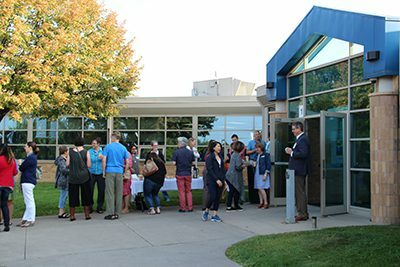 From 3-6:30 PM on campus, you’re invited to an evening of crafts, games, complimentary dinner and more book-buying. A portion of the proceeds from book sales benefit our MPA library. Used books will also be available for purchase during the week for only .25 cents! The 2019 Winter Wonderland Book Festival has been wonderful all week. Today is the last day the Bookstore in the Gallery will be open from 8 AM-3:30 PM. The booksellers have an excellent selection of books we love. We hope you’ve enjoyed this wonderful annual MPA tradition! Winter Wonderland Book Festival Is Next Week! The 2019 Winter Wonderland Book Festival is next week! The Bookstore in the Gallery will be open daily February 25-28 from 8 AM-3:30 PM. 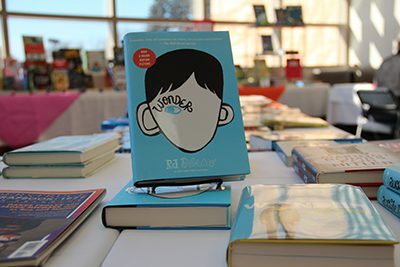 The booksellers are bringing a great selection of popular books, including Middle School titles, and students are encouraged to stop by to browse and buy! 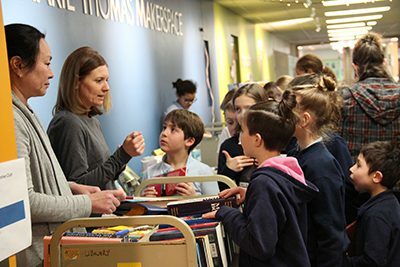 Lower School students will visit the bookstore during their library time with Ms. Lage to make their wishlists. 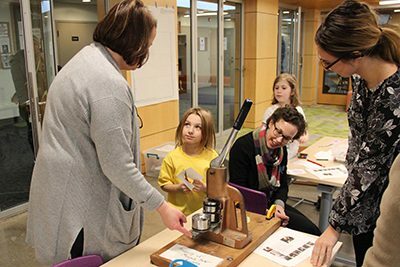 Book Festival Family Night on February 28, 3-6:30 PM, will offer an evening of crafts, games, complimentary dinner and more book-buying. A portion of the proceeds from book sales benefit our MPA library. Used books will also be available for purchase during the week for only .25 cents! Plus, there is still time to sign up and help out at this wonderful annual tradition! Click here to join us! The 2019 Winter Wonderland Book Festival is coming so soon! The Bookstore in the Gallery will be open daily through February 25-28 from 8 AM-3:30 PM. 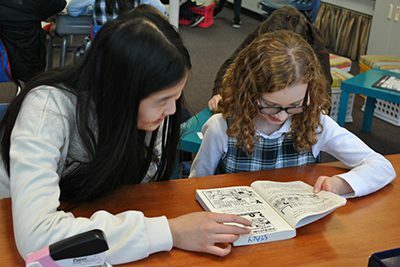 The booksellers are bringing a great selection of popular Middle School titles and students are encouraged to stop by to browse and buy! 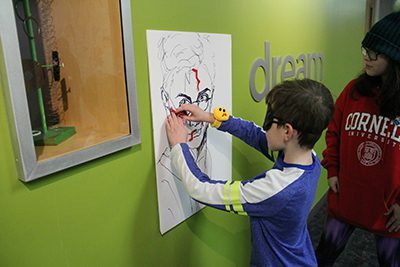 Lower School students will visit the bookstore during their library time with Ms. Lage to make their wishlists. Please consider signing up to help put on this wonderful annual tradition! Please sign-up to volunteer and help make this year’s Book Festival a success! Lots of helpers are needed to put together this wonderful annual tradition at MPA. The goal of Book Festival is to promote the joy of reading, and the MPA Parents Association invites you to come enjoy the many activities offered during Book Festival week, February 25-28! Used, donated books will be for sale outside the cafeteria during lunch. All books are $0.25 each!